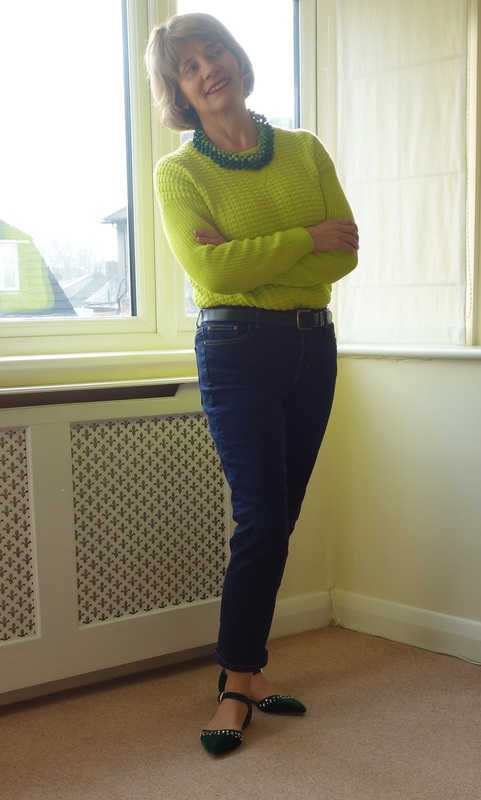 Wearing neon brights to add some colour to winter | Is This Mutton? Hi Gail, you wear this color quite well! I couldn't with my fair skin! Love the Boden flats, the perfect compliment. Stay cozy. That color looks great on you! Not many people can wear that color! Wow what a pretty color on you! I also love your flats. Super cute! Oh, my goodness! How cheery you look in that sweater. Love your necklace & shoes too! Ooh, I love this bright sweater! And those shoes are adorable. Who makes up those silly rules about colours? Glad you are ignoring them!